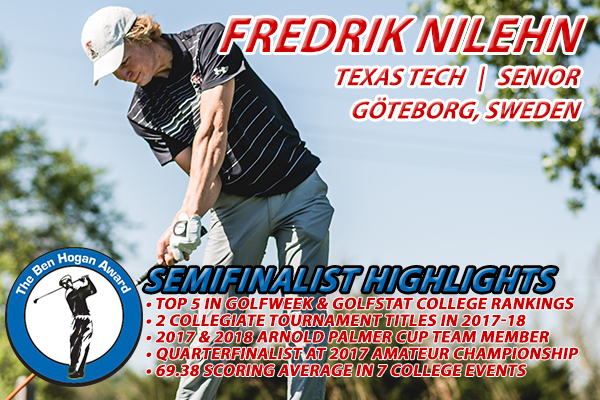 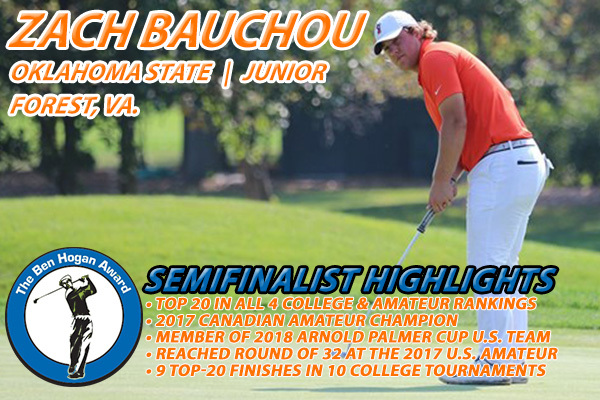 Is one of just three players ranked among the top 10 in all four major amateur and college rankings (Scratch Players, WAGR, Golfweek and Golfstat). 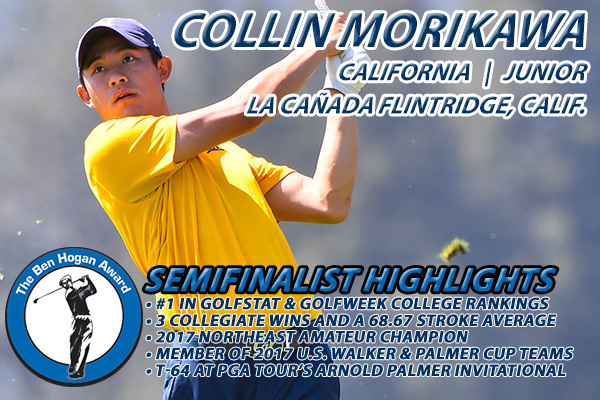 Was the winner of the Mark H. McCormack Gold Medal as leading player on the 2016 World Amateur Golf Ranking. 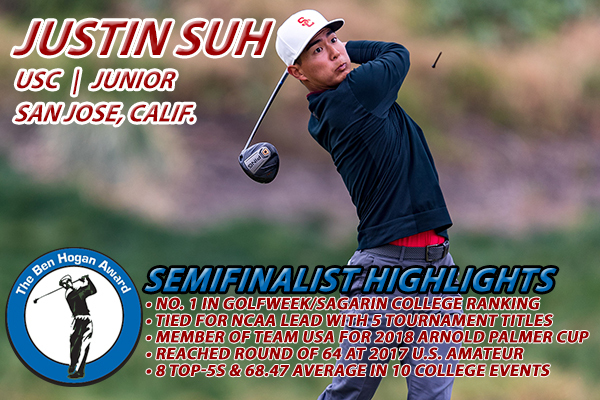 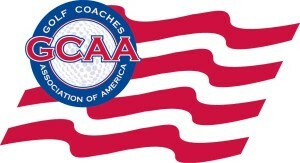 Represented the United States at the 2016 World Amateur Team Championship. 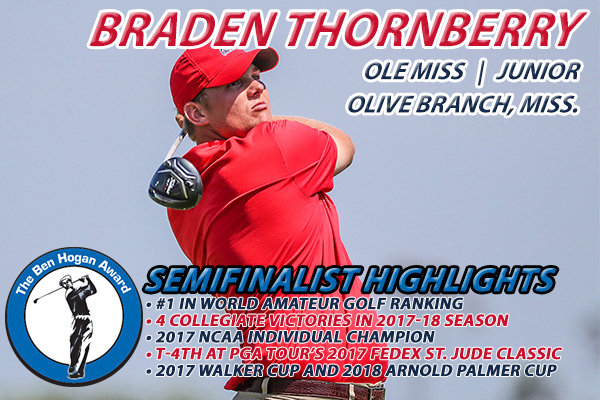 Named to Team USA for the 2017 Arnold Palmer Cup. 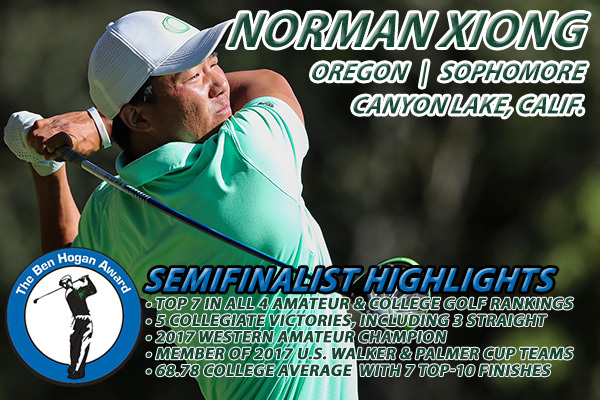 Was the runner up at the 2017 Silicon Valley Amateur. 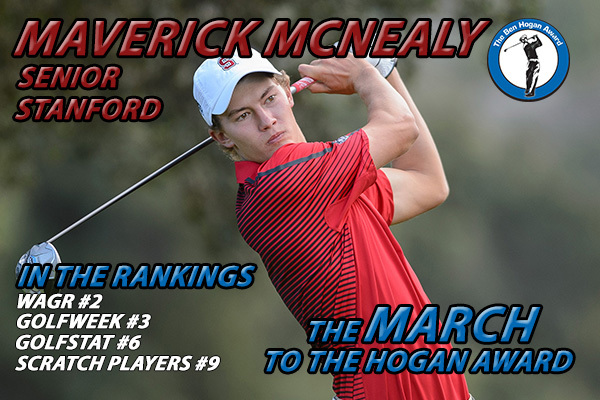 Won the Nike Golf Collegiate Invitational at Colonial Country Club for his 11th career win, tying him with Tiger Woods and ’14 Hogan Award winner Patrick Rodgers for most college wins by a Stanford golfer. 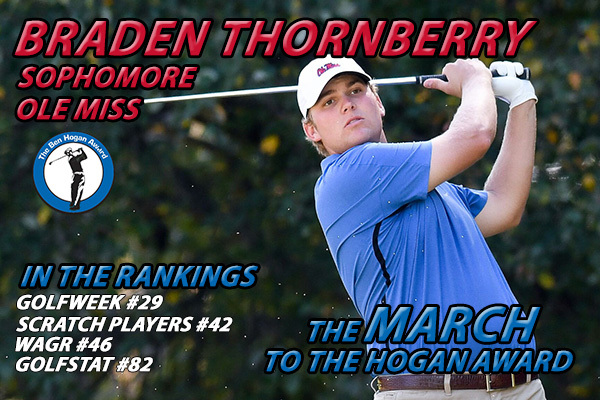 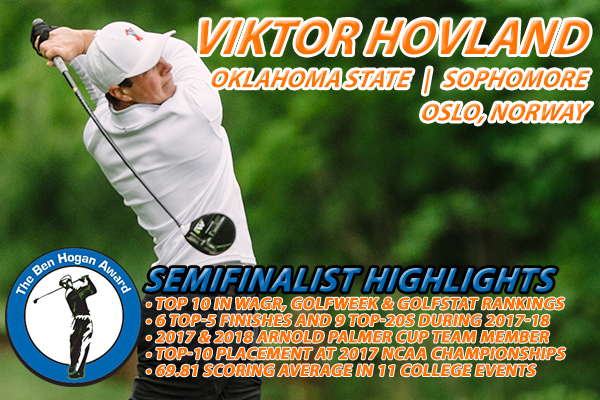 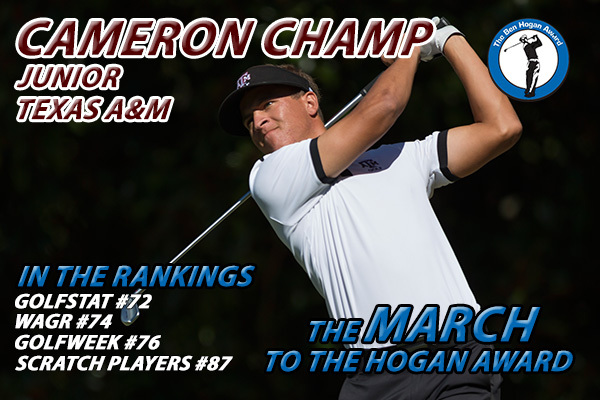 Has a 69.82 stroke average over 17 collegiate rounds this year with three top-5 finishes in six events. 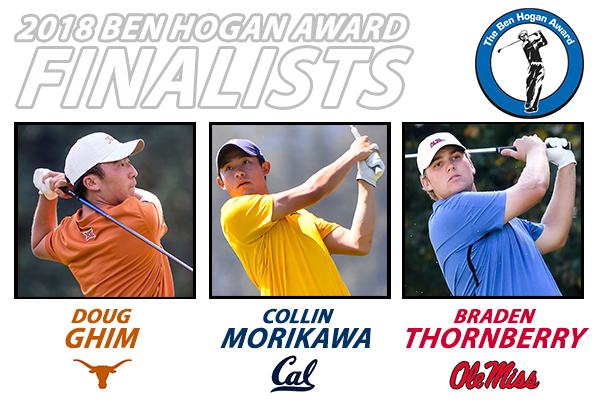 Is looking to become the second player ever named a Ben Hogan Award finalist three times (Bill Haas: 2002-04).